Doing good is a business strategy, here’s how to start and how to do it better. That’s the flag I’ve been flying for three years and 250 blog posts. Next week, I’ll be speaking with a group of entrepreneurs and employees practicing varying levels of social sustainability (and, I hope, some who dismiss it altogether) at South By Southwest in Austin. I’m leading a core conversation, Your Business + Social Mission = Happiness + Ka-Ching, which will be provocative and educational. Anyone with access to the Interactive programs can participate. 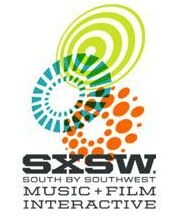 If you’ll be at SXSW, I want to meet you. Here are 4 ways we can connect. Join the core conversation, March 12 from 2-3 PM. Come to The Good Capitalist Party, March 12 from 6-9 PM. The event is co-hosted by Ashoka’s Changemakers (I do work for Changemakers), Social Capital Markets, Acumen Fund and Good Company Ventures. Make it easy for me to invite you out! I’ll be in Austin March 10-15. Email me at olivia[at]causecapitalism.com and let’s plan to run into each other. I’d love to meet up! I’ll shoot you an email. Noland and Bradley, terrific! Can’t wait. I’ll work out times with you both on email. Are you available to come to the core conversation? Given the nature of your work (both of you), I’d love your input and insights!